What a waste, the entire story. The Giants realized this DA is not going to help Burress or the Giants. It must have been the obstruction of justice (hospital worker) that blocked any attempt at a reduced sentence and an oppty for either #17 playing again for the team OR the Giants trading him. Not much else to do. The cries are already there for a WR in Round #1. This draft is deep at WR, OL and LB. Reese can go to OL or LB and still find WR in Round 2. This entry was posted on April 3, 2009 at 7:26 pm and is filed under Braylon Edwards, Plaxico Burress. You can follow any responses to this entry through the RSS 2.0 feed. You can leave a response, or trackback from your own site. Gosh, what a terrible mess !What a waste of talent.What a dumb A**hole Burress is !This is a very sad conclusion to an unhappy chapter in the history of the NYG. Plax’s behavior cost us a serious run at another big one.I feel we could have done it with Plax, despite the Gillbrown factor. AndyWhy not wait and trade Burress ? ?Is the situation that bad ?? Plaxico had a hard time dealing with success, i.e., the big contract. Unfortunately he had a hard time dealing with failure too.P.S. Brian Cushing & Clay Matthews allegedly tested positive for ARoids at the combine. 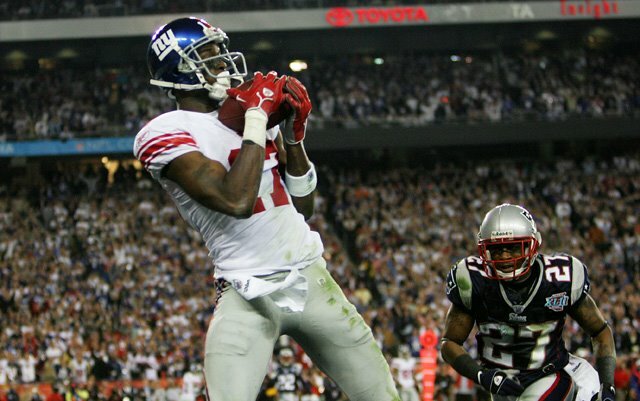 Burress also was at Giants stadium for treatment on his back Tuesday. Maybe the way he behaved there then contributed to the timing of his release. I suspect he was in the Giants offices so that the Giants could tell him in person that he was going to be released. That is my guess. As for the aroid thing, boy would that s**k, they would plummet down the draft board. Bob- some more light was shed on your question- see the next post. NYG 24, the words of George Young: “It is about the money, and when they say it is not about the money, then it is DEFINITELY about the money.”That the Giants were willing to stick with him in a NEW contract was GENEROUS. I wish my employers would be so kind to me after I dissed them repeatedly. See next post. GOOD RIDDANCE.